Lake house on picturesque Long Lake in the Adirondacks. 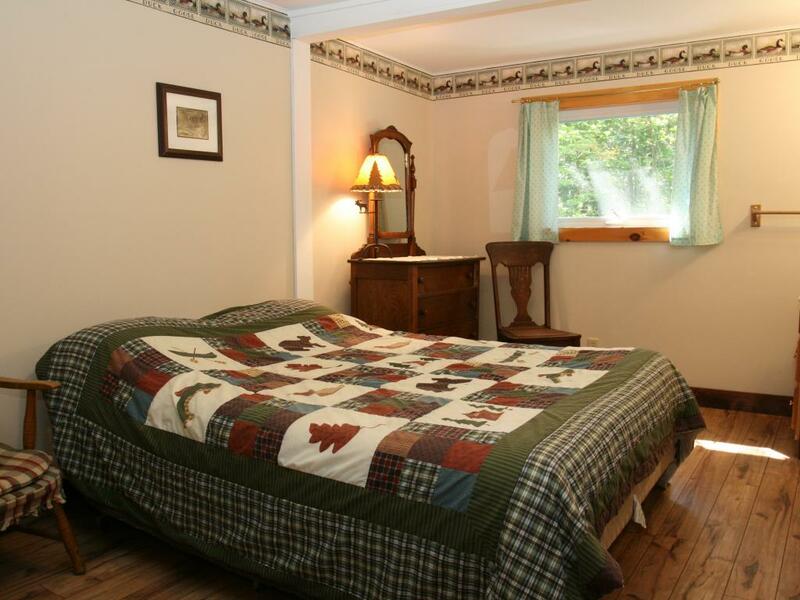 1 bedroom with full-sized bed on first floor, 2nd floor sleeps 4-6 with 2 full-sized and 2 twin beds. 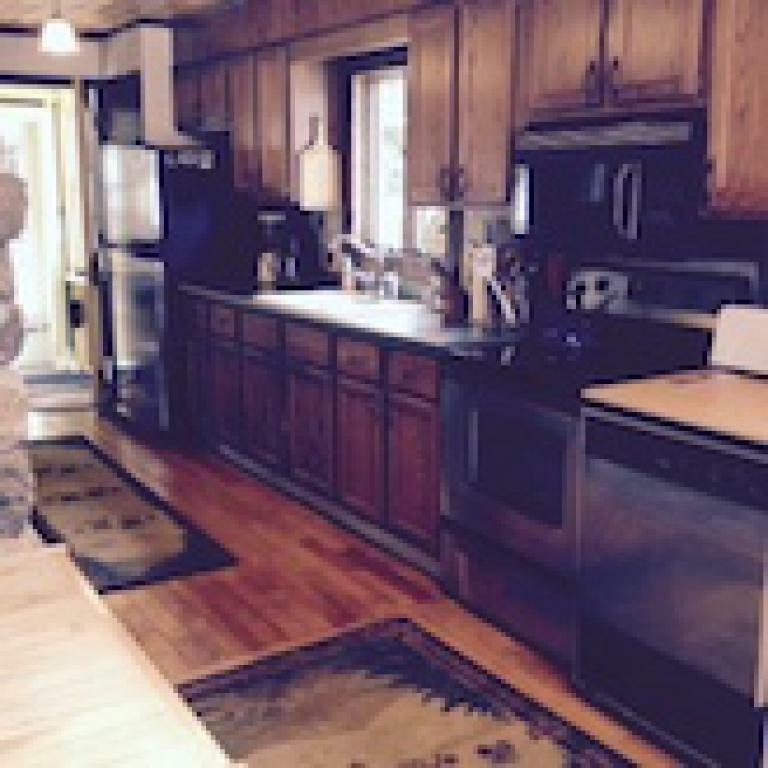 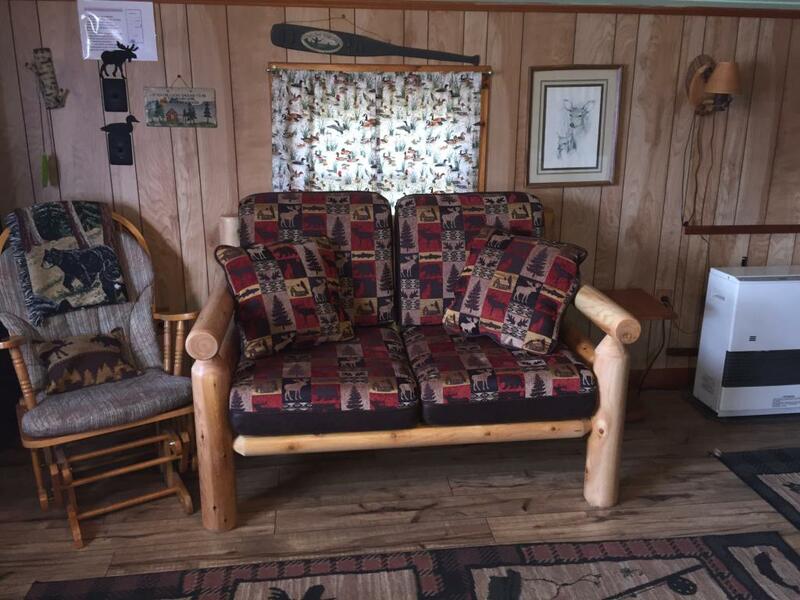 1 1/2 baths, enclosed porch over lake, well equipped kitchen including dishwasher, stone fireplace, canoes, kayaks, beach, private dock, gas grill; perfect vacation. 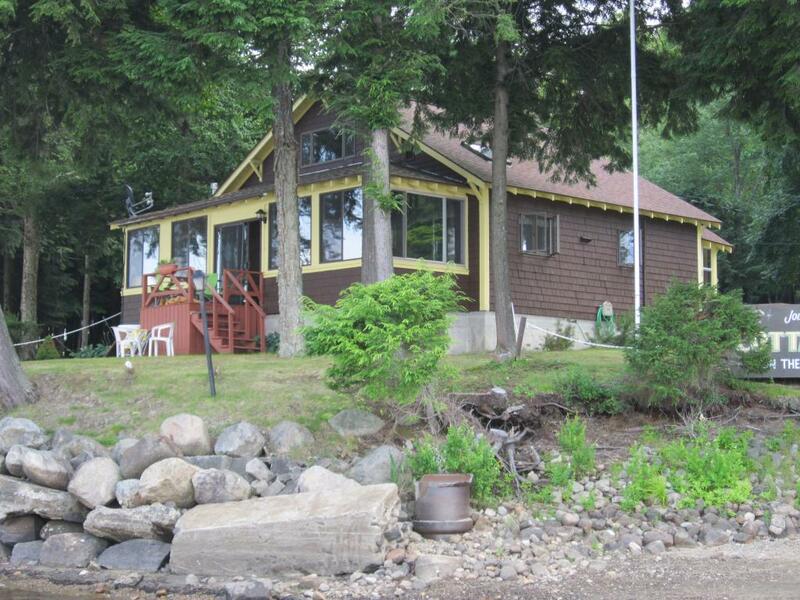 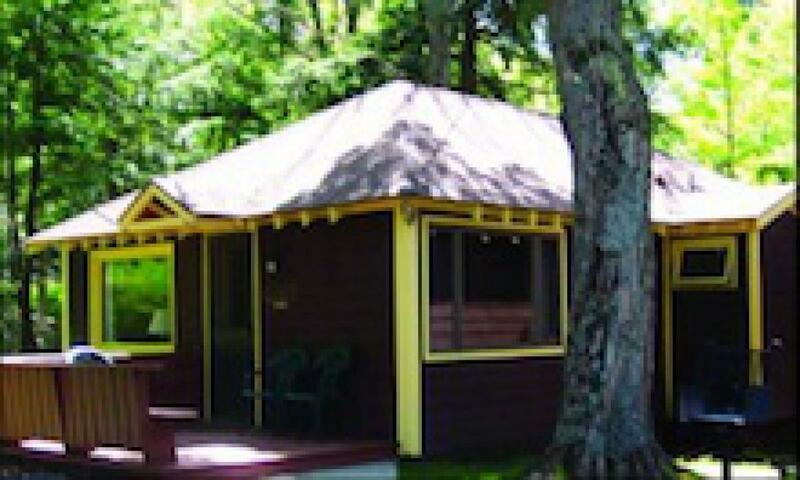 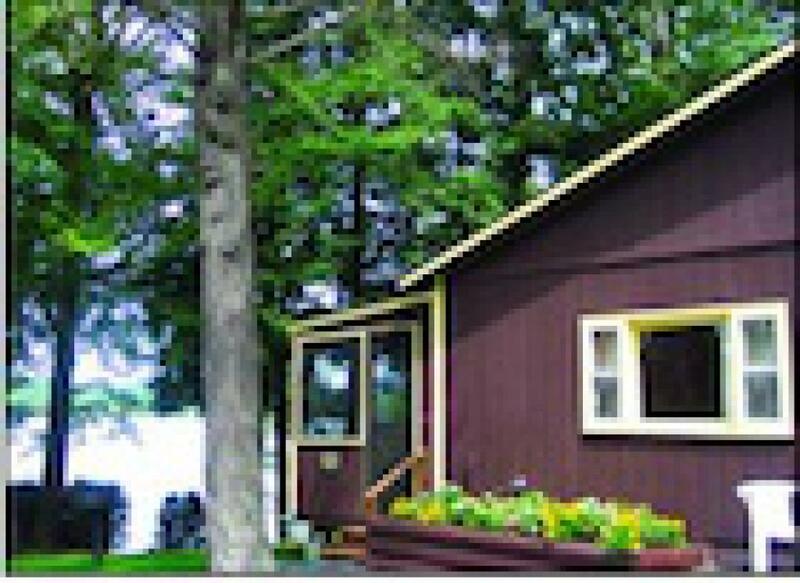 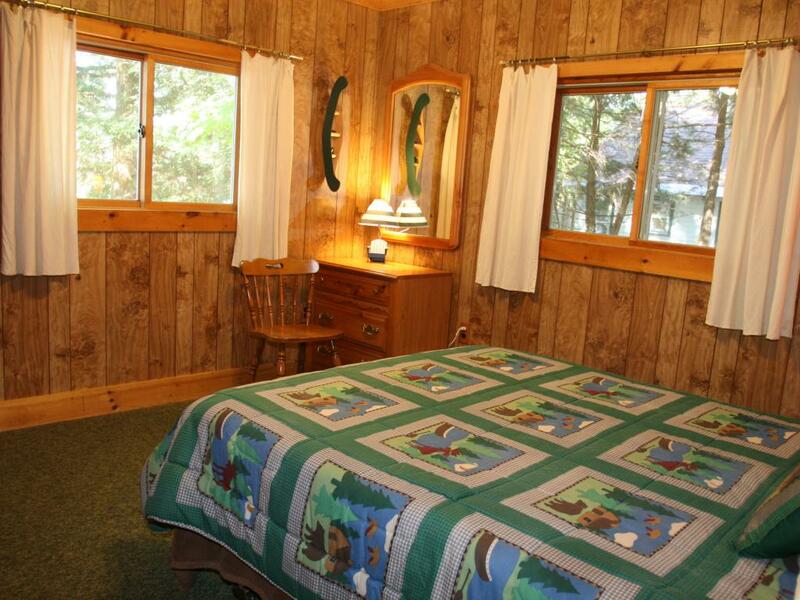 3 bedroom cottage located at the top of the incline from the lake. 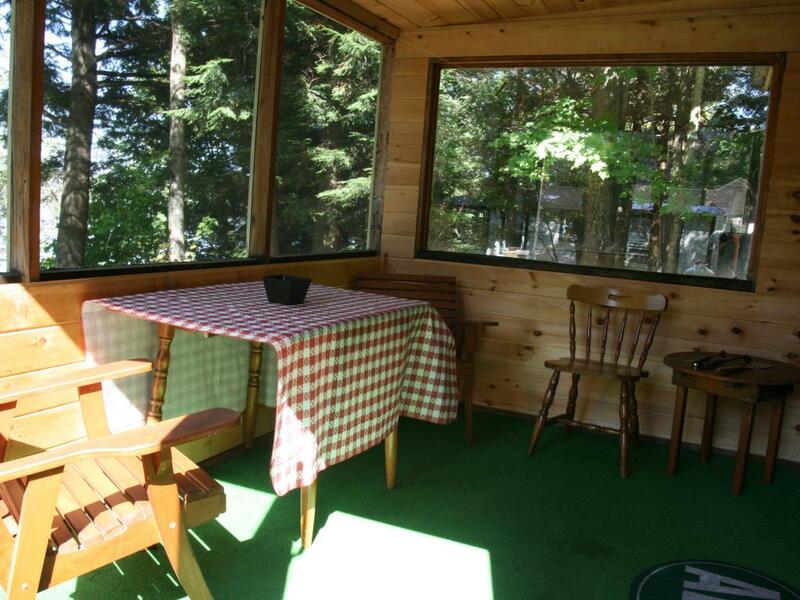 Scenic views from the dining area and deck. 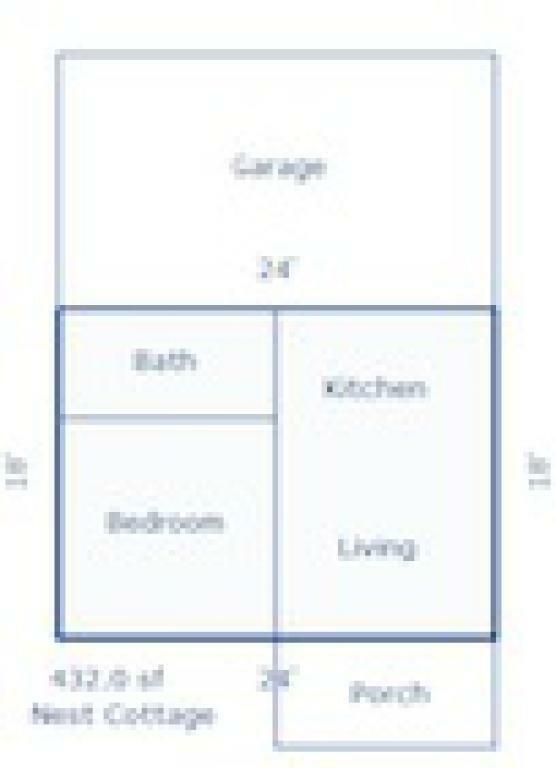 3 bedrooms, one with 2 double beds, one with double bed, and a master bedroom with queen size bed and vanity/sink. 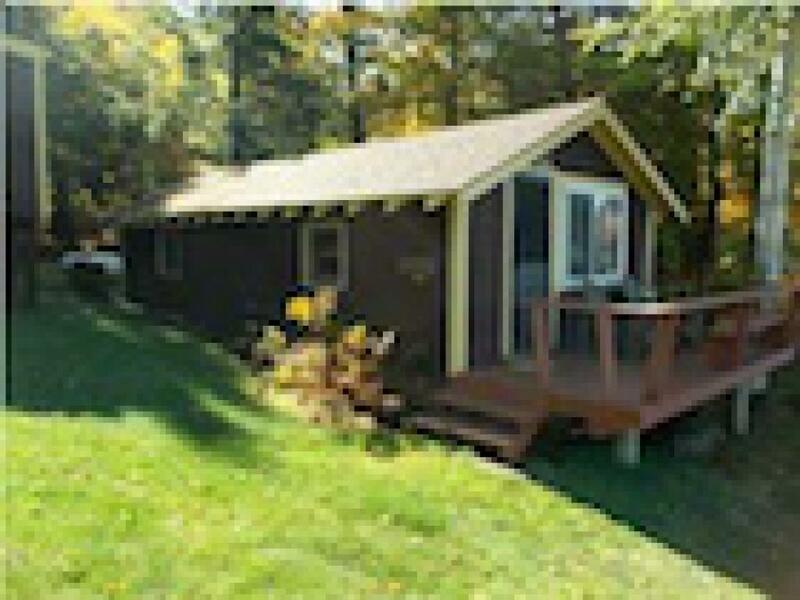 2 bedroom cottage. 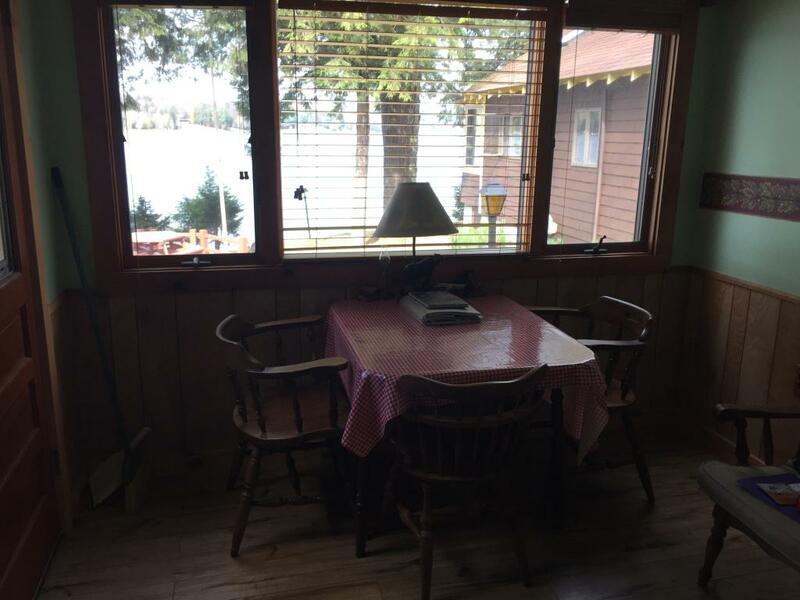 Dining area and deck overlook the lake. 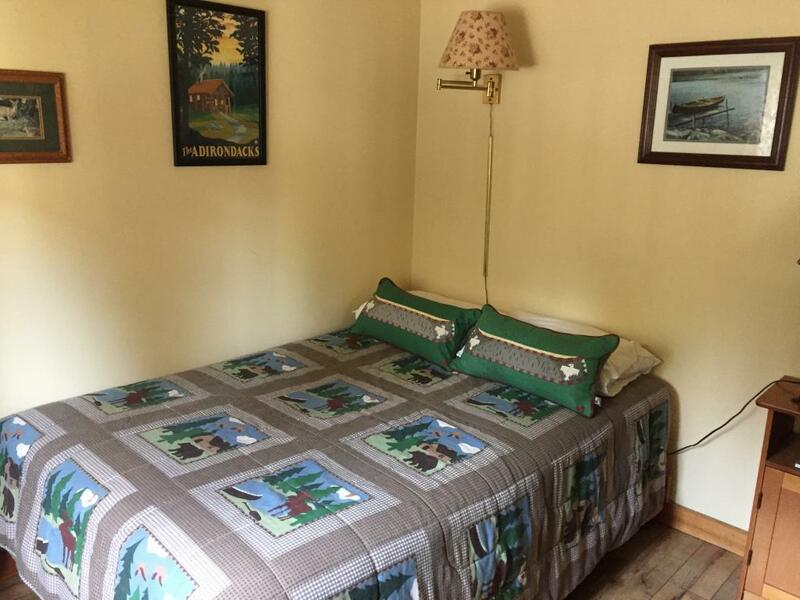 1 bedroom with twin beds, 1 bedroom with double bed. 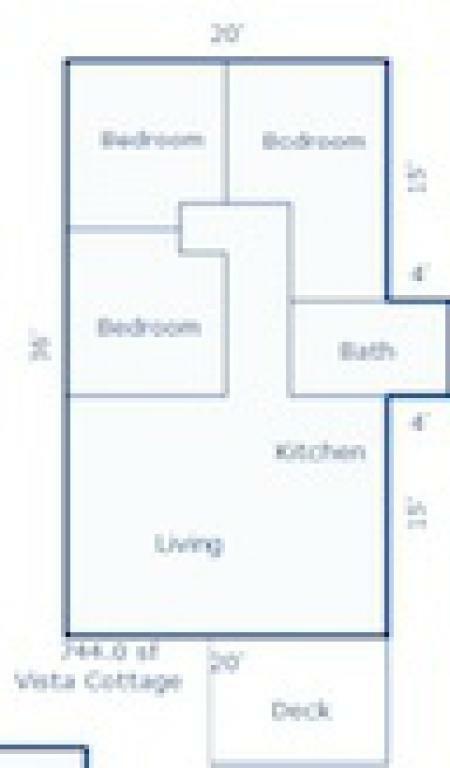 Full bath with tub/shower. 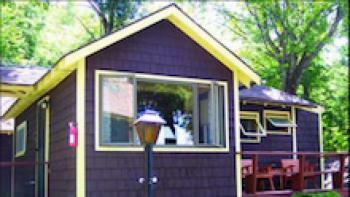 1 bedroom cottage. 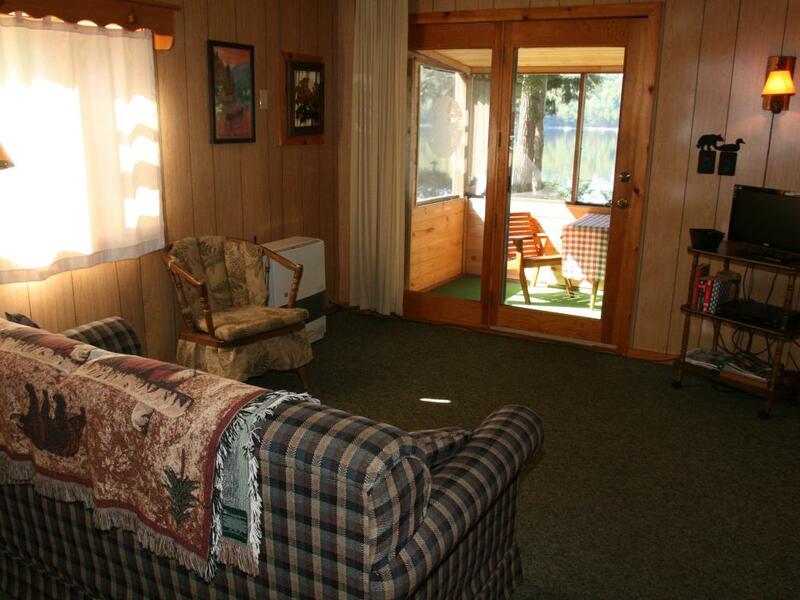 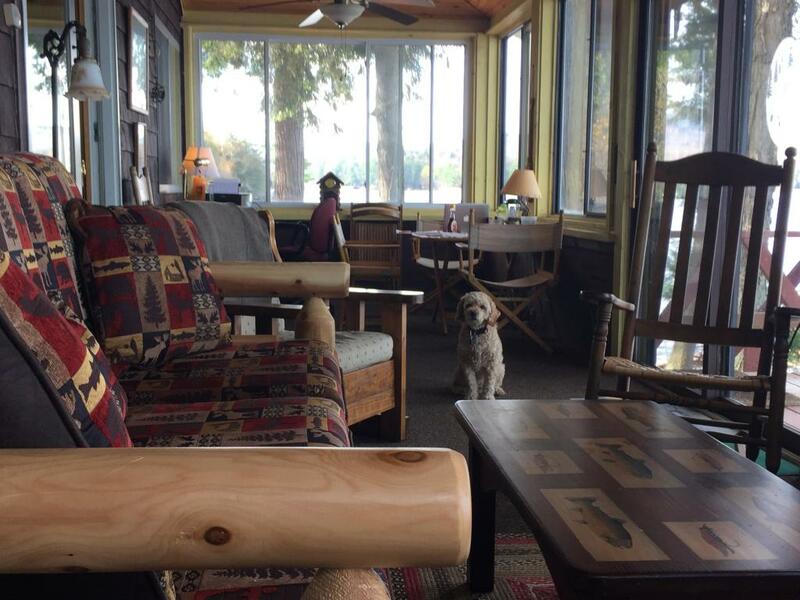 Separate from other cottages, screened porch overlooks lake. 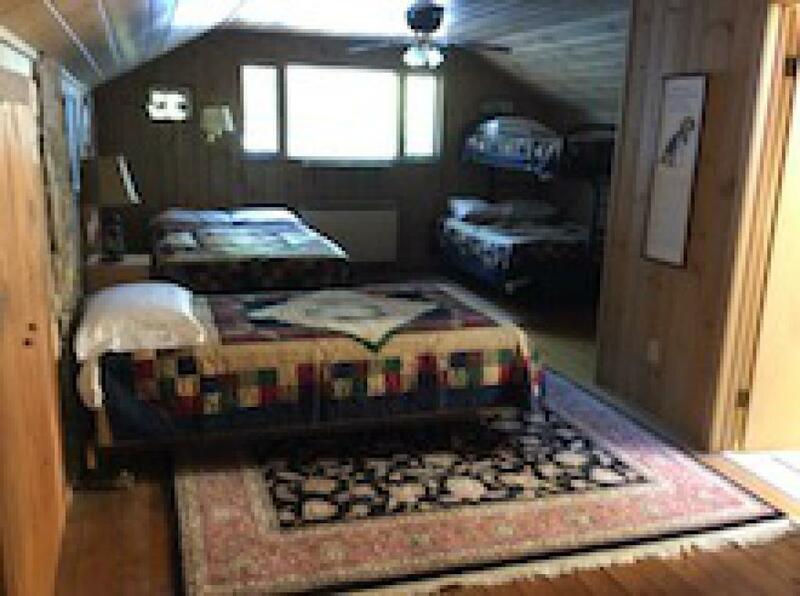 1 bedroom with queen bed. 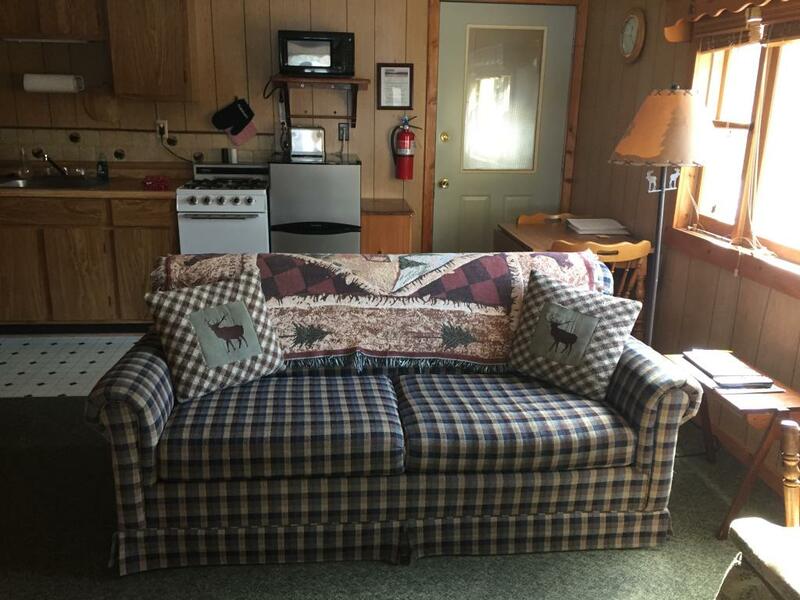 Queen-sized sofa bed in living room. 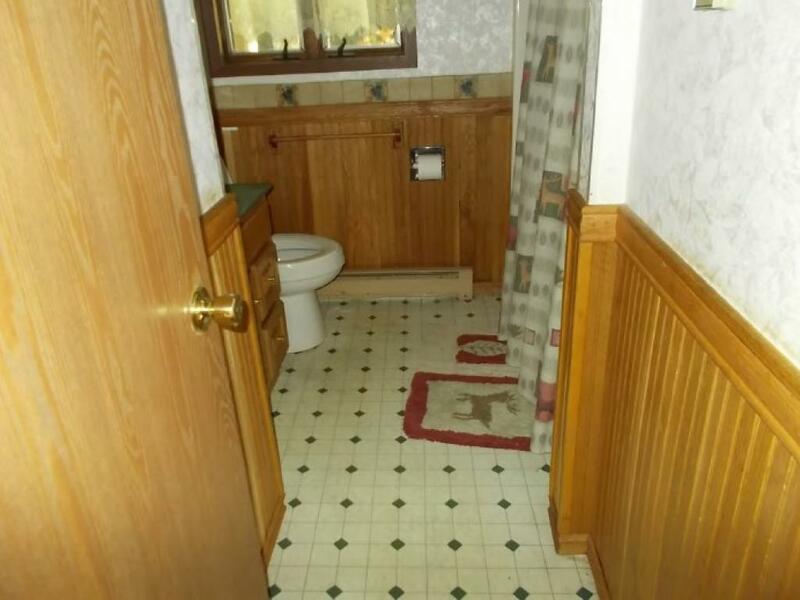 Full bath with tub/shower. 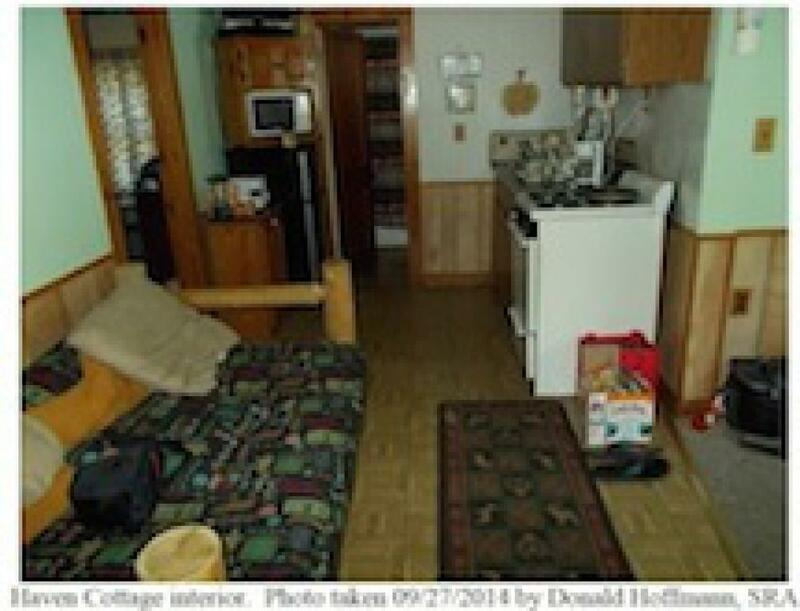 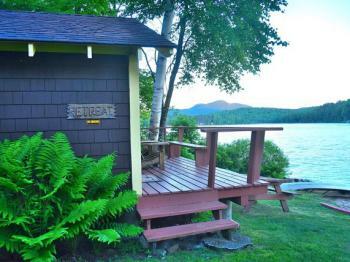 1 bedroom, converted boathouse near the water's edge. 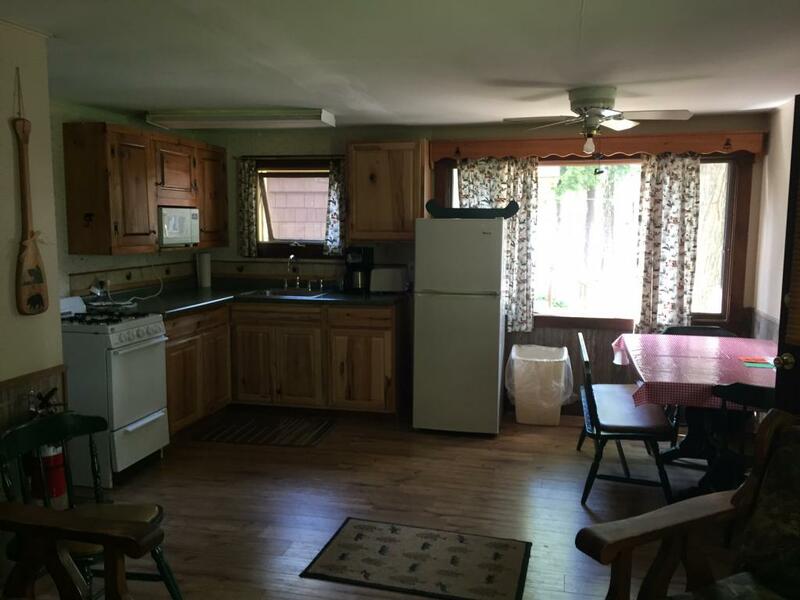 Deck spans living and dining/kitchen area. 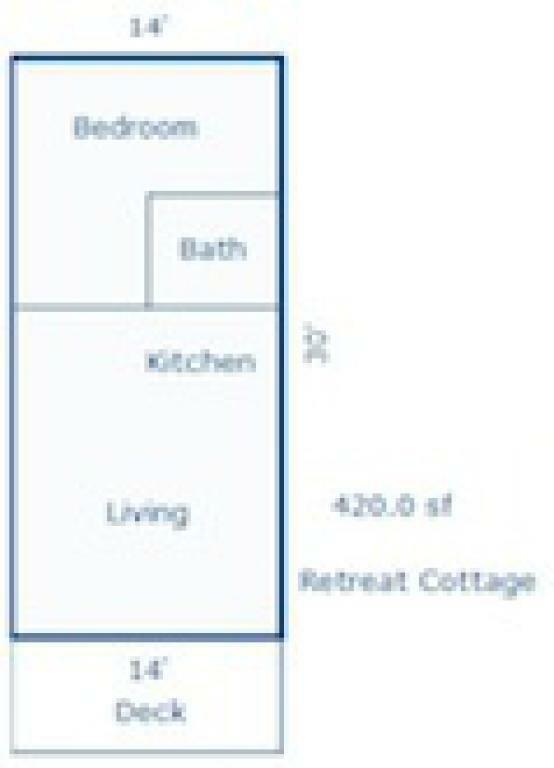 Single bedroom with 2 double beds, full bath with tub/shower. Journey's End Cottages and Lake House offer modern accommodations in a lakefront setting looking west over beautiful Long Lake. 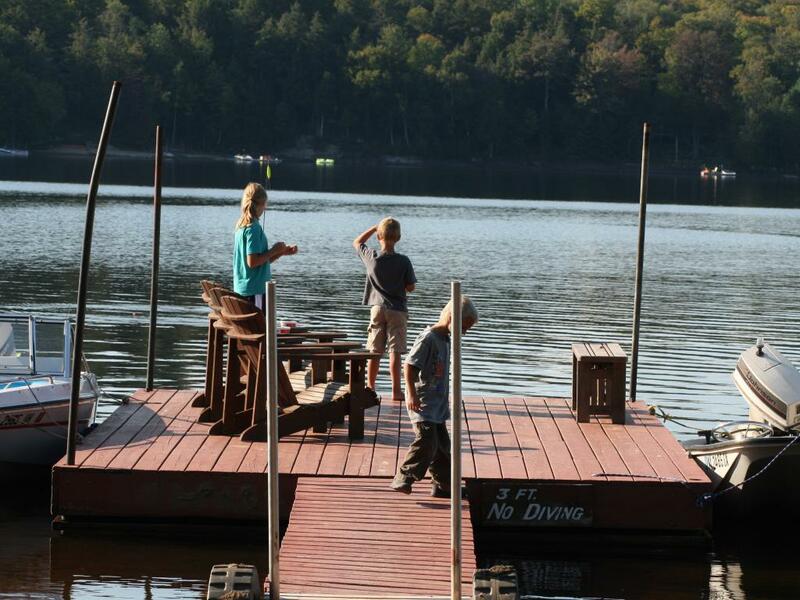 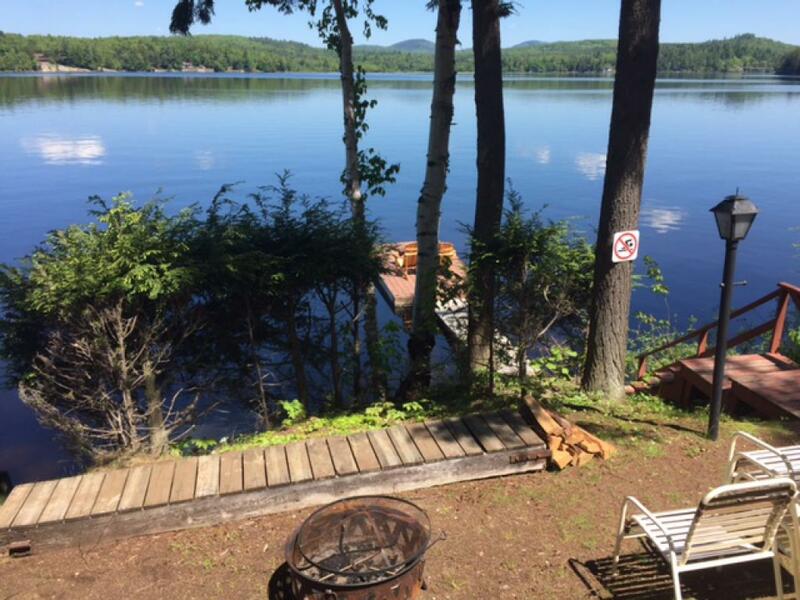 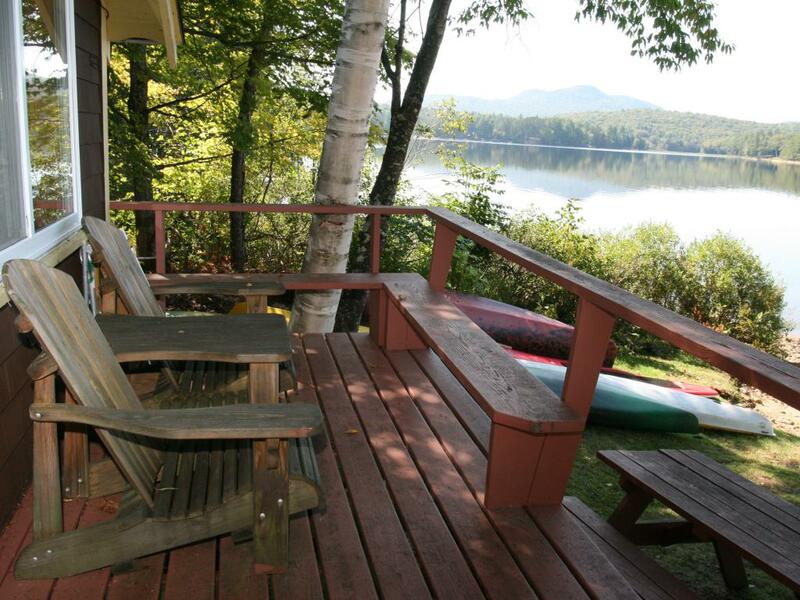 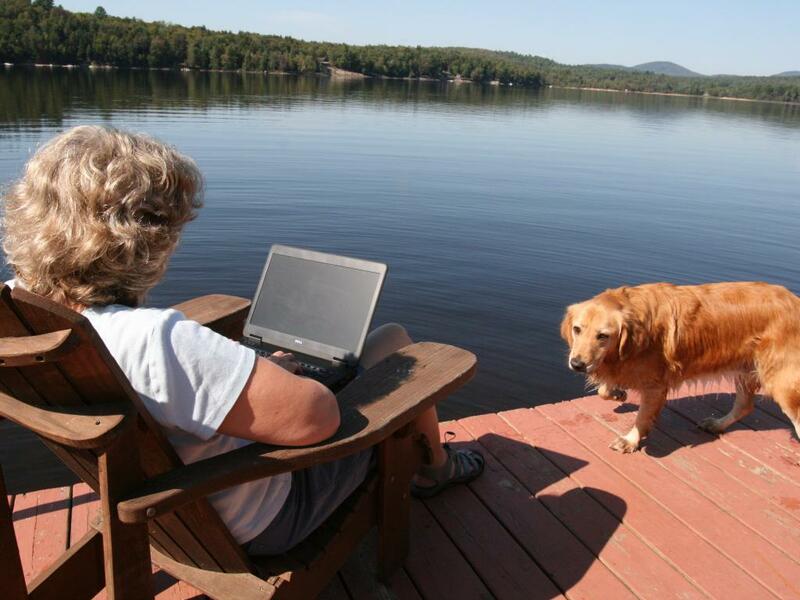 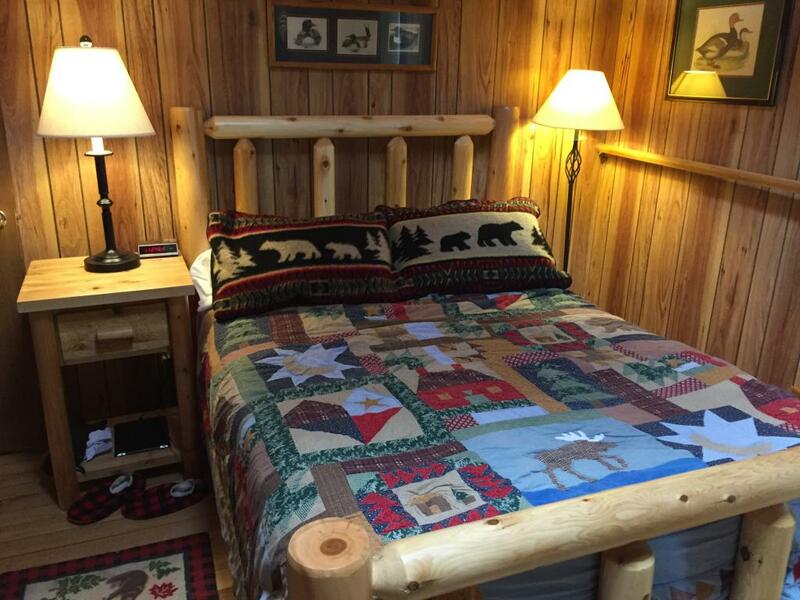 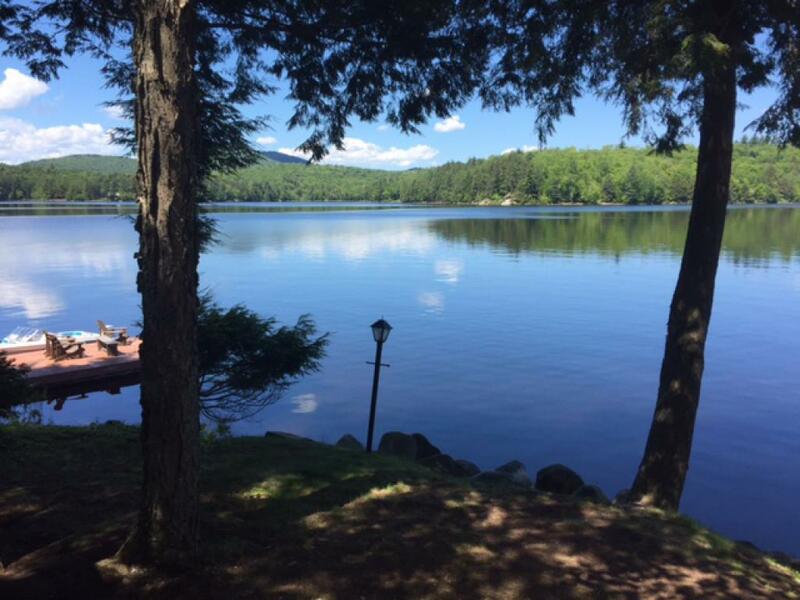 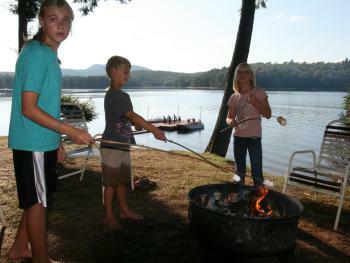 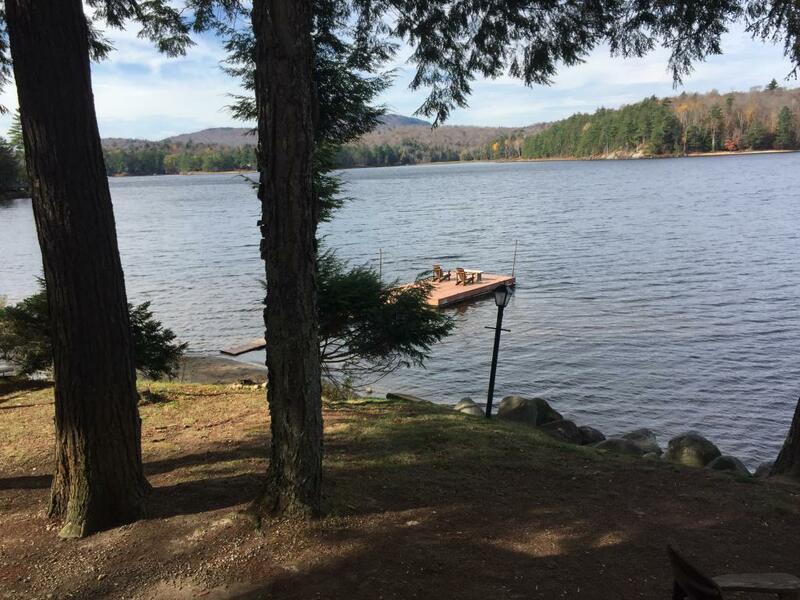 Located on the eastern shore of Long Lake in the heart of the scenic Adirondack Mountains, 4 clean/well-maintained cottages and a Lake House make Journey's End a perfect vacation choice. 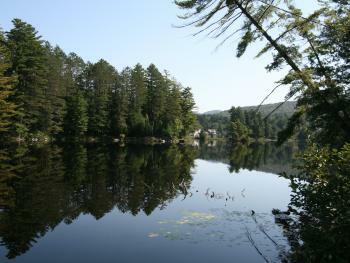 1-mile south of picturesque Long Lake village. 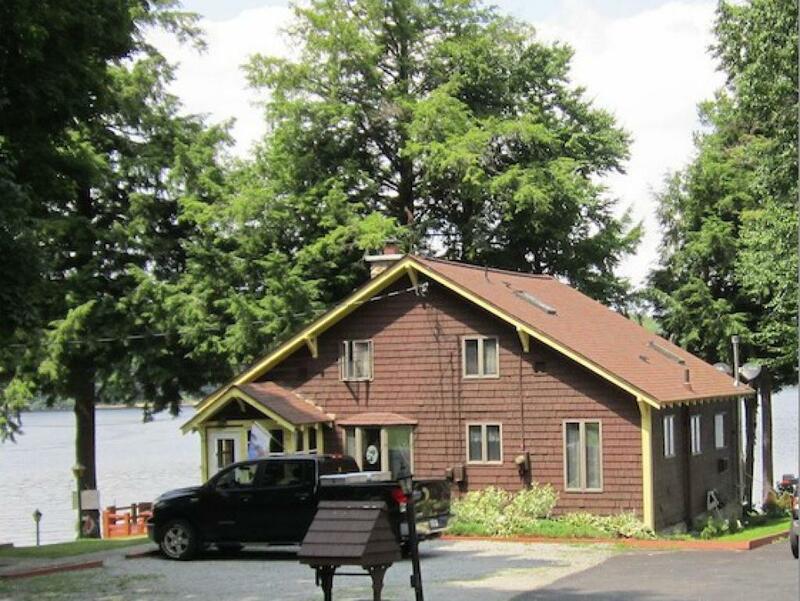 4 fully furnished cottages with 1-, 2- and 3-bedrooms and a 2-story house that sleeps 8, all overlooking the lake amidst towering hemlock trees. 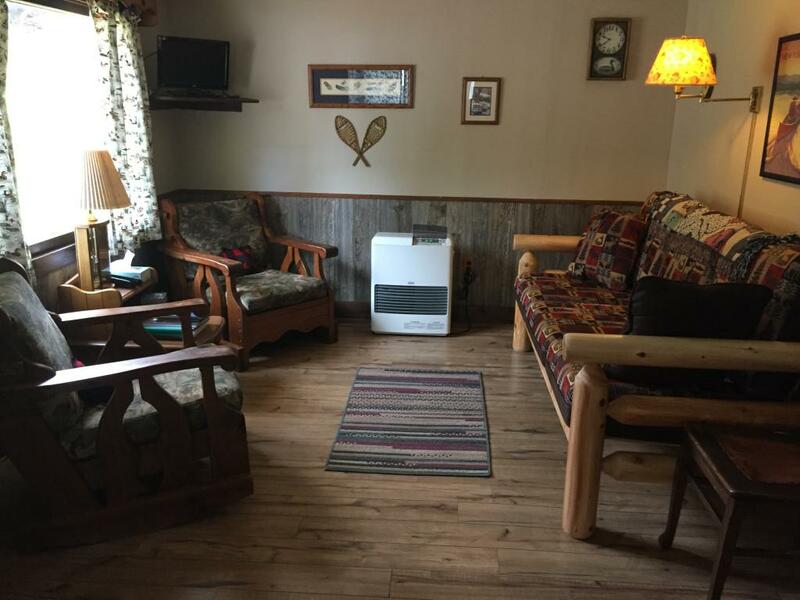 Each residence offers many amenities including: Fully equipped updated kitchens; Newly renovated bathrooms; Flat screen color TVs, Dish TV Network, and DVD Players; Free High-Speed WI-FI Internet Access; Heaters and ceiling fans; Bed linens provided; Canoe, kayaks and paddle boards; 2 docks. 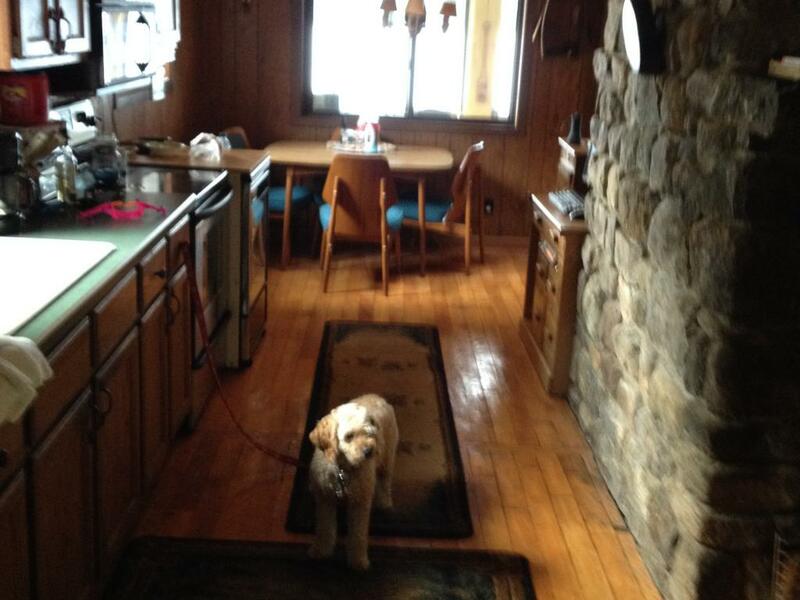 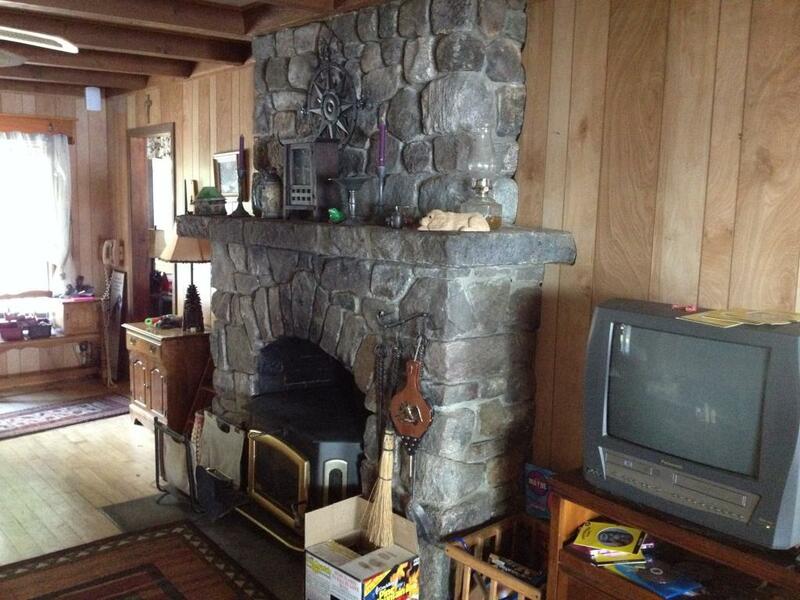 House includes large stone fireplace, radiant floor heat, and enclosed porch. 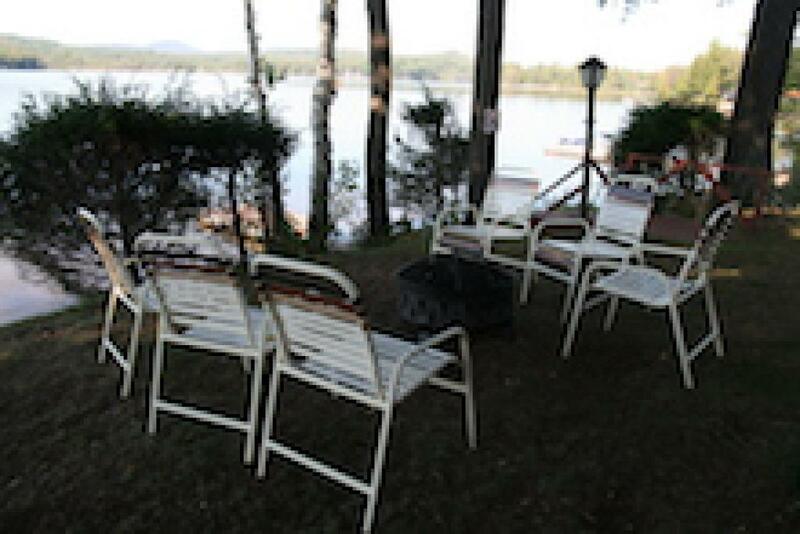 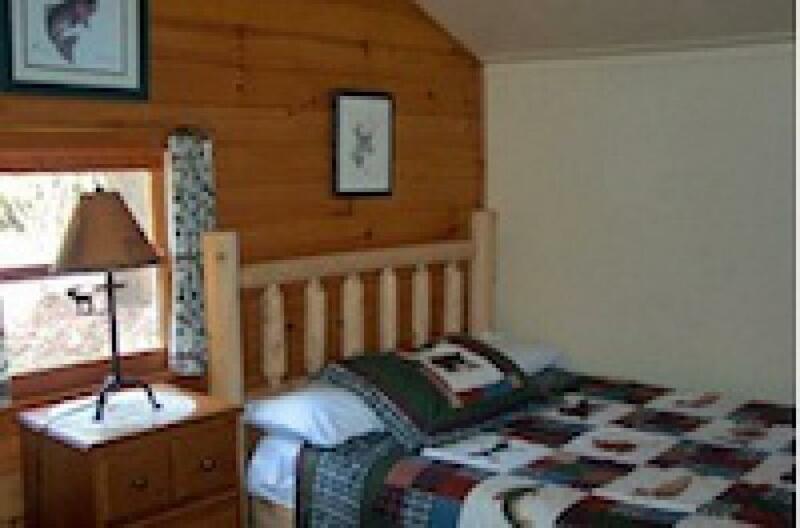 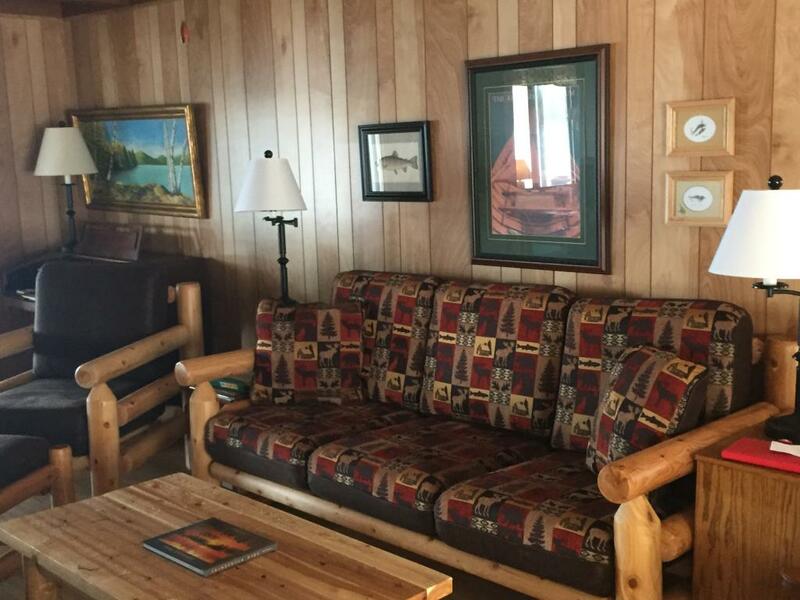 All units have private porches overlooking the lake; Grills and picnic tables; Pet-friendly. 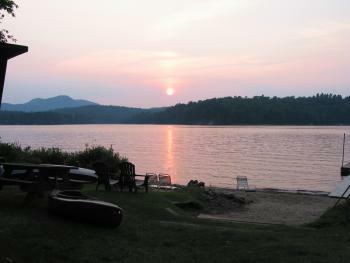 Exquisite sunsets and star gazing add to the tranquility of this perfect mountain retreat. 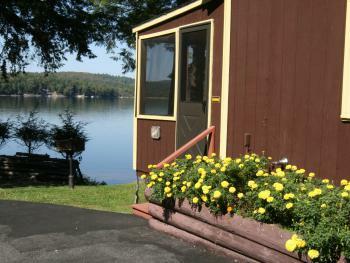 Our cottages and Lake House were built prior to ADA, so they are not fully accessible. 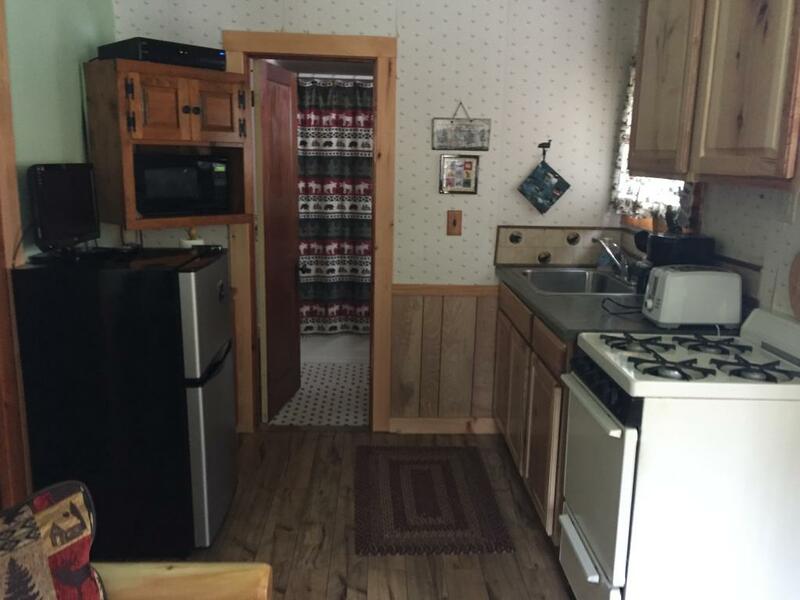 None have more than 3 steps for entry. 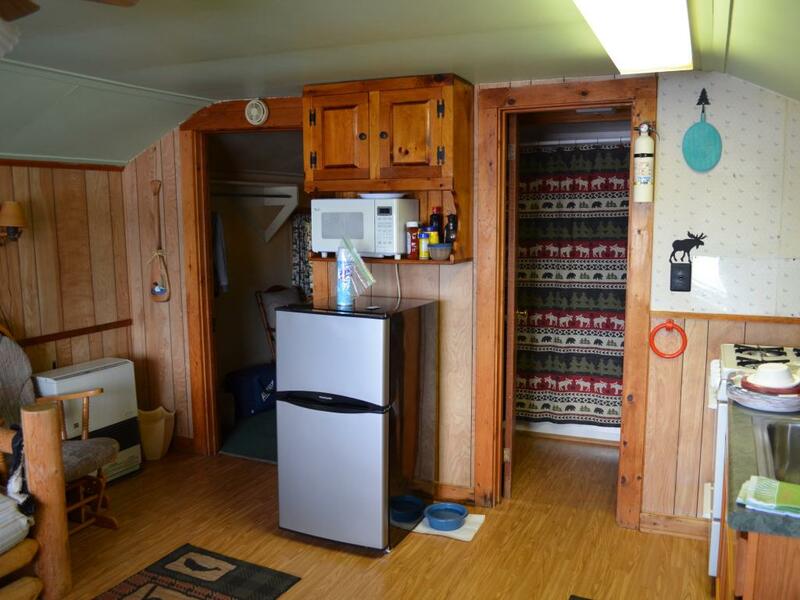 Some but not all doors are wheel-chair width. 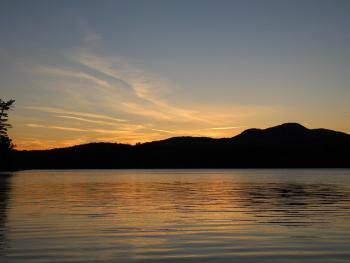 Take I-87 North (New York State Thruway) toward Albany. Take Exit 24 toward Albany/Montreal, passing through toll, and taking I-87 North via Exit 1N toward Albany Int’l Airport/Montreal—Adirondack Northway. Drive 60 miles on ADK Northway to Exit 23, toward Warrensburg/Diamond Point. 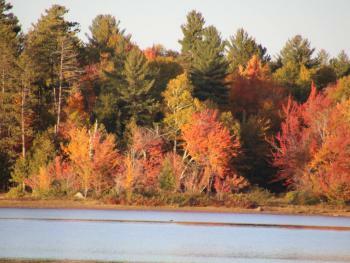 Turn left at stop sign, then right onto Rt 9 North through Warrensburg. 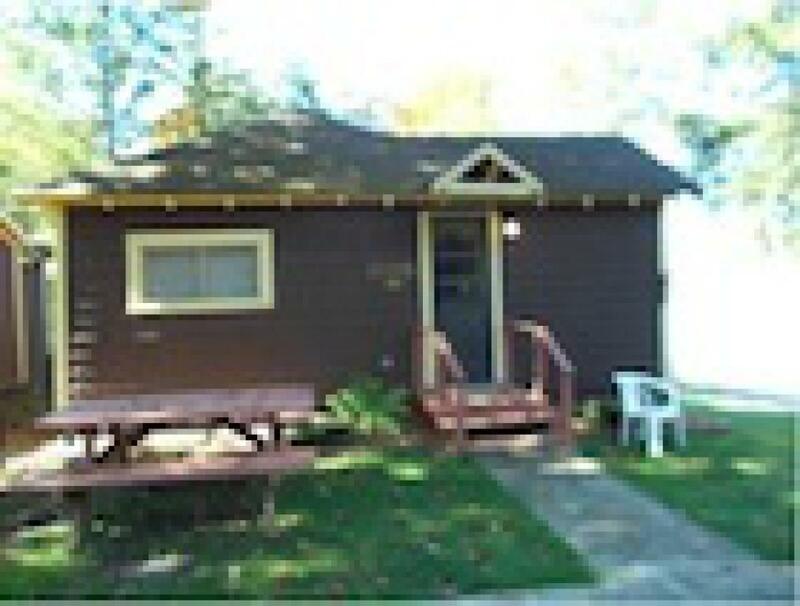 Turn left about 2 miles out of Warrensburg onto NY-28. 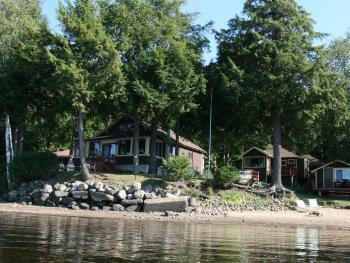 Travel about 60 miles through North Creek/North River/Indian Lake. At Blue Mountain Lake, turn right onto NY-28N/30 into Long Lake. 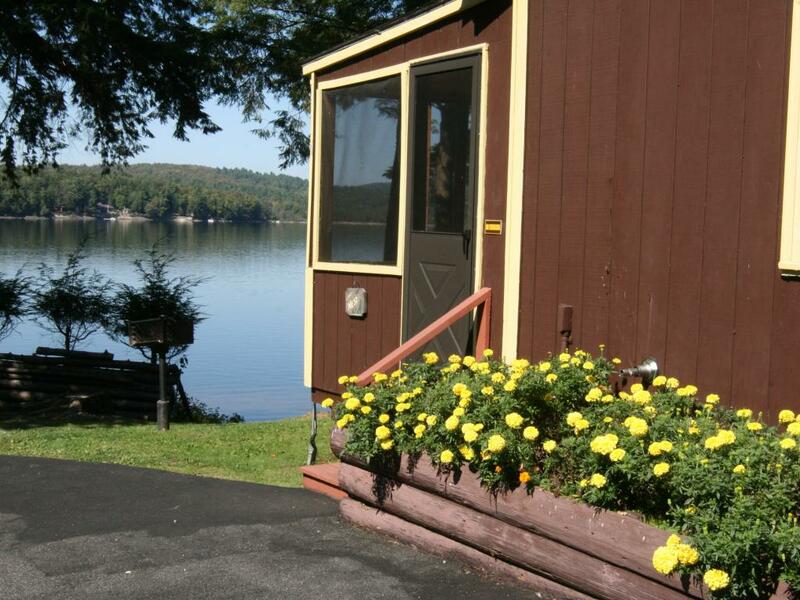 Destination on your left about ¼ mile beyond Sandy Point Motel, sign for Journey’s End is on the side of the road. 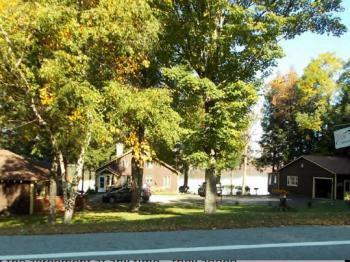 Follow I-90 E to NY-365 E in Verona. Take exit 33 from I-90 E. Continue on NY-365 E. Take NY-28 through Old Forge to Blue Mountain Lake NY, and go straight onto 28N, which joins NY-30 north into Long Lake (107 miles). Destination on your left about ¼ mile beyond Sandy Point Motel, sign for Journey’s End is on the side of the road. Take I-87 S to Exit 38N in Plattsburgh. Follow NY-22 N to NY-374 W toward Dannemora and Saranac Lake. 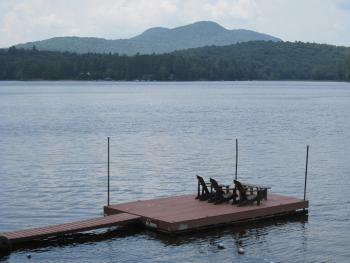 Get on NY-3 W from NY-374 W. Follow NY-3 W toward Tupper Lake, then NY-30 S to Long Lake (85 miles). 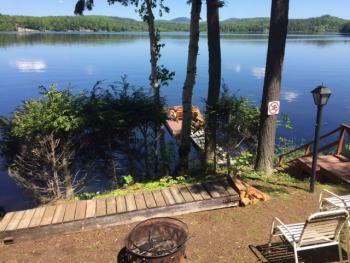 Go 1 mile south of Long Lake. 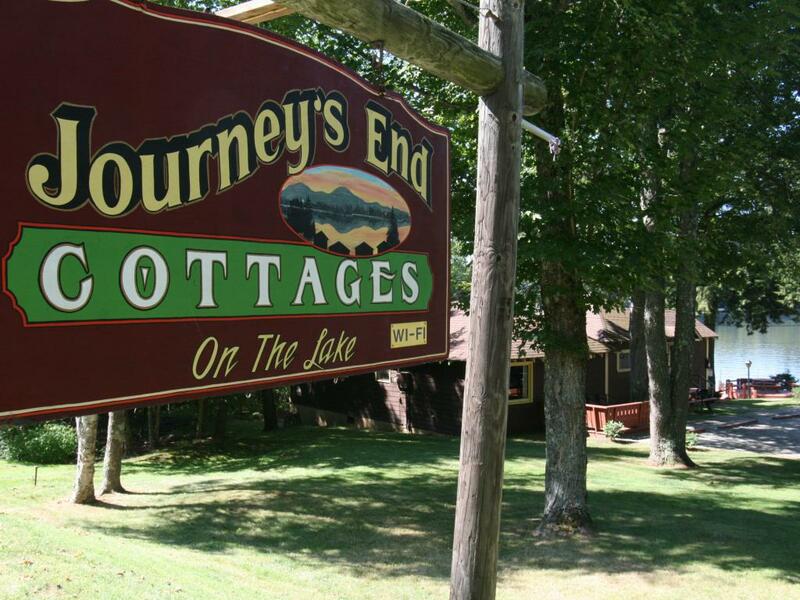 Destination on your right, sign for Journey’s End is on the side of the road, just beyond Water’s Edge.